At Topgear driving tuition we offer several intensive courses that range from one week to ten. Intensive courses are designed for people who need their licence in a hurry or feel they would learn better in a short space of time. A typical course will last ten days with a test already booked at the end of your course although more people are going for a semi intensive course over several weeks given the waiting time for practical test around 5 weeks and theory tests are 3. Whatever course you decide to choose we at Topgear can adapt to suit your needs. A 50% deposit is needed on all courses which is non-refundable under any circumstances unless we fill the slot you have left open. A two hour assessment lesson will need to be done so that we can assess the suitability of the course you select. We offer all types of courses from standard 1 hour weekly lessons to intensive driving courses; we have automatic instructors as well as the standard manual driving instructors. We have just recruited an in house ordit approved trainer to teach the instructors of tomorrow. For those who would prefer a female instructor we are fortunate to have two excellent female instructors. Here is a list of our most popular courses. You will need to have passed your theory test before taking an intensive courses. Course lengths will depend on you availability and courses are a guide based on the average individual. All prices do not include the price of a practical test. We offer both manual and automatic courses. This course is suitable if you have recently failed your driving test and simply want refresher lessons to get to test standard again. For learners who have mastered the skills of driving and are already competent at their manoeuvers and complex junctions. This intensive driving course is ideal if you have good control of the car but have only done some work on manoeuvers and complex junctions. 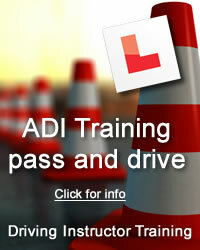 This intensive driving course is for learners with 10 hours + experience having only done the basics in driving. This course is designed for beginners with no experience at all, older learners and nervous drivers.